I had so many boys this fall, it was such an excitement to be able to photograph the adorable Kyra. I especially love it when babies have SO much hair! 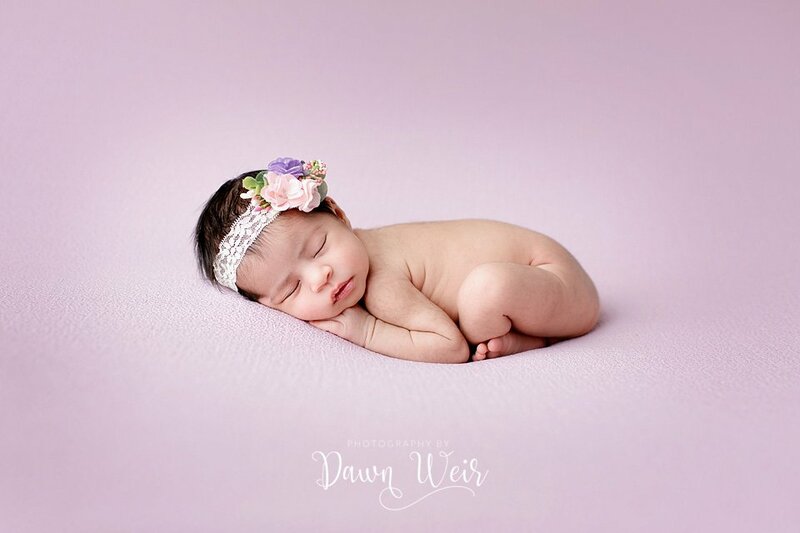 I think it is absolutely adorable when you put a newborn flower headband on when they have so much hair. 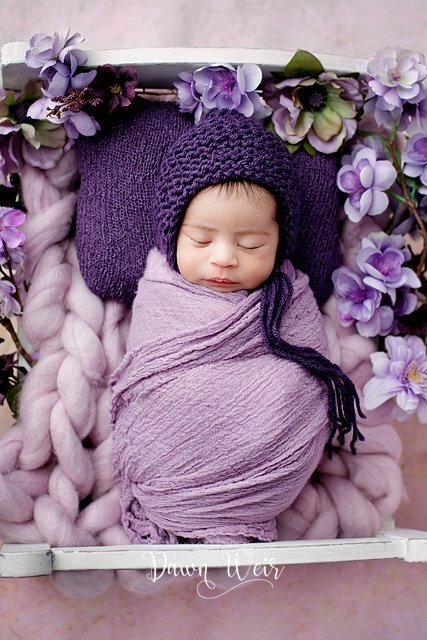 This little newborn has the most beautiful skin tone, it was flawless! 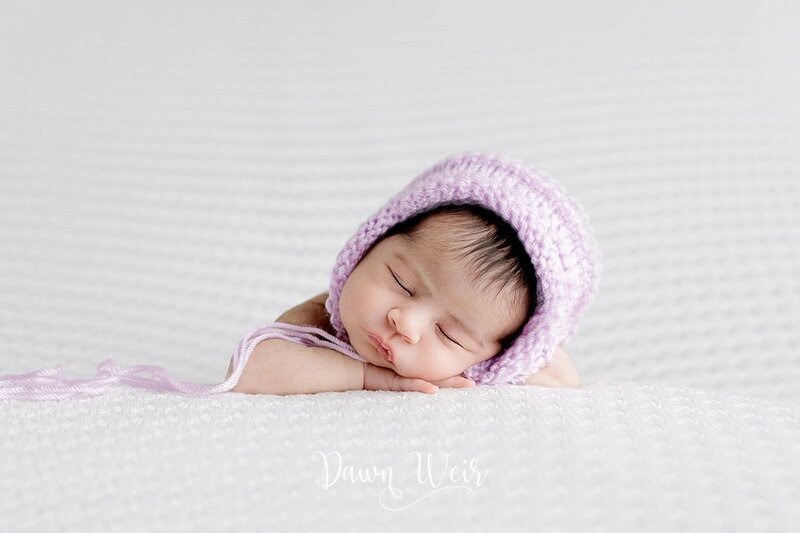 Kyra was super sleepy and was a dream to work with in my St. Albert newborn studio. 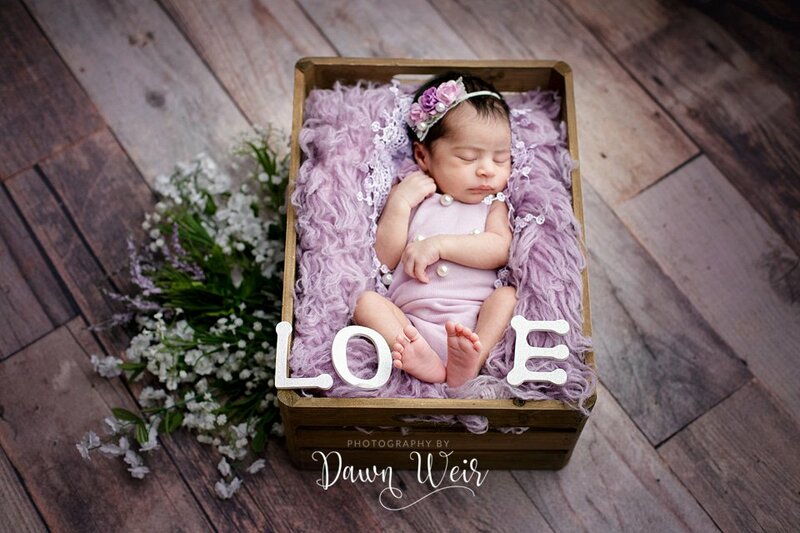 This photography session started with me dressing her up in a mauve baby romper and placing her in this bucket and putting the letter LO (V was her tiny little feet) and E. This image always exudes the love that Mom and Dad feel for there newest addition. Then I added this cute little bonnet on to change it up! Moved her baby hands in position where she was somewhat hugging herself. 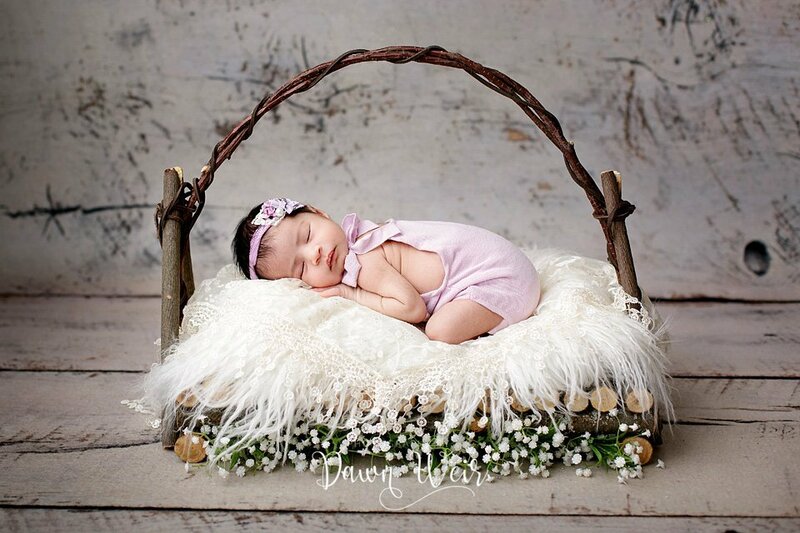 Next I moved on to my most sought after prop in the studio the willow newborn bed. I get so many parents requesting this bed, I have lost count. I had my Mom and Dad make this for me, so it is even more special to me when people ask to use it. 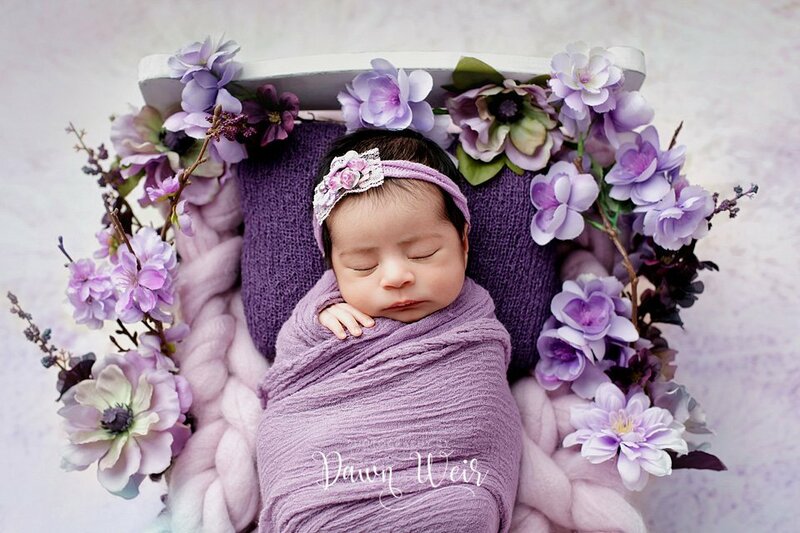 After she nailed these images, I wrapped Kyra up and put her in this adorable bed with all these purple flowers. How sweet is this? Sound asleep, so cozy! 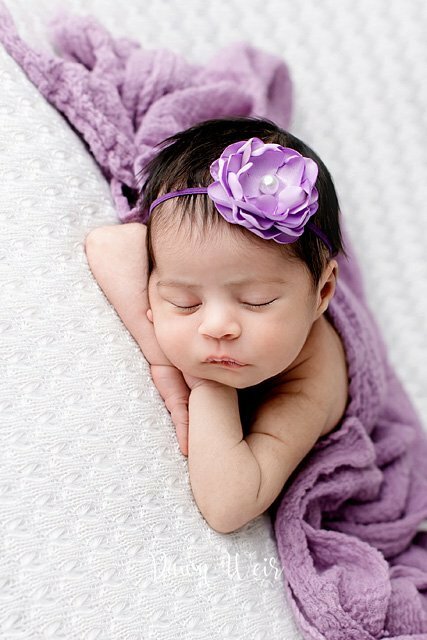 To spice it up…change her headband to a purple bonnet. Kyra decided she was doing to wake up, so we fed her and wrapped her up for some family photos. Mom and Dad love Kyra so much, the happiness was bouncing off them throughout the day! 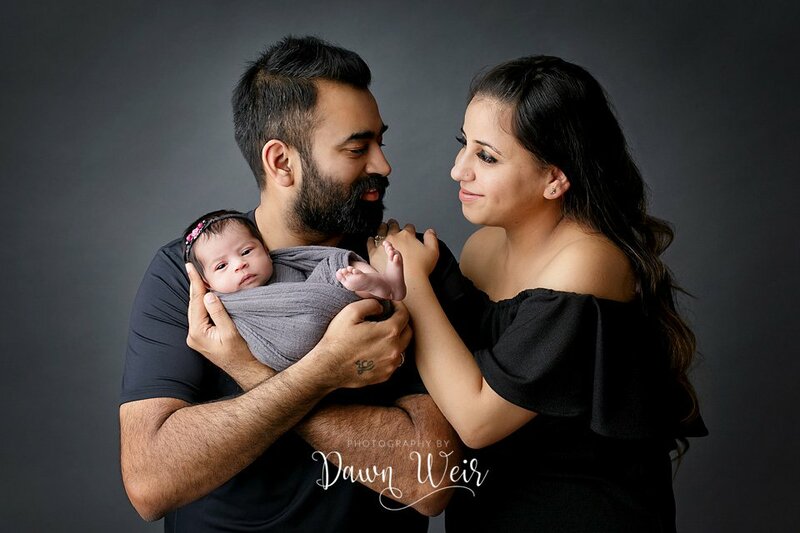 Look at the love they have for each other and their new baby girl! There is nothing more special than Daddy’s little girl! Right! How precious is this? Always have to get a shot with Mom and Dad looking at the camera…it is a for sure pick! 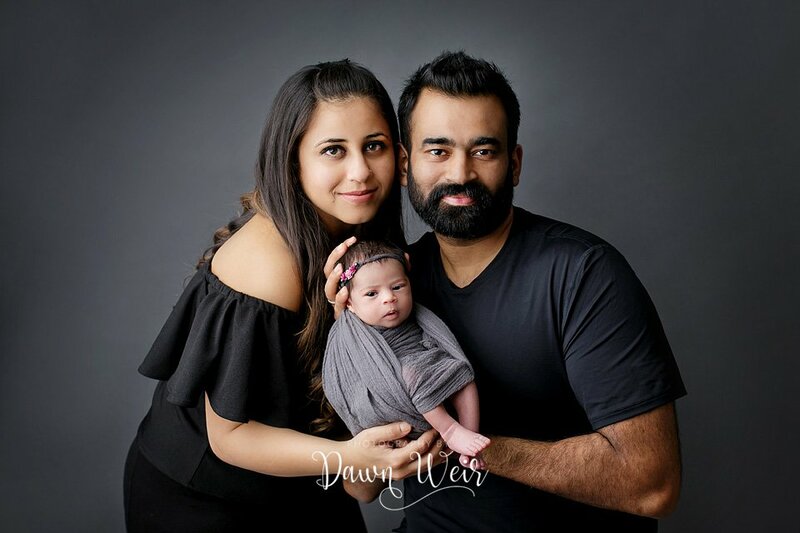 Mom requested the lying down shot with baby, and both baby and Mom are absolutely STUNNING! Gorgeous girls! 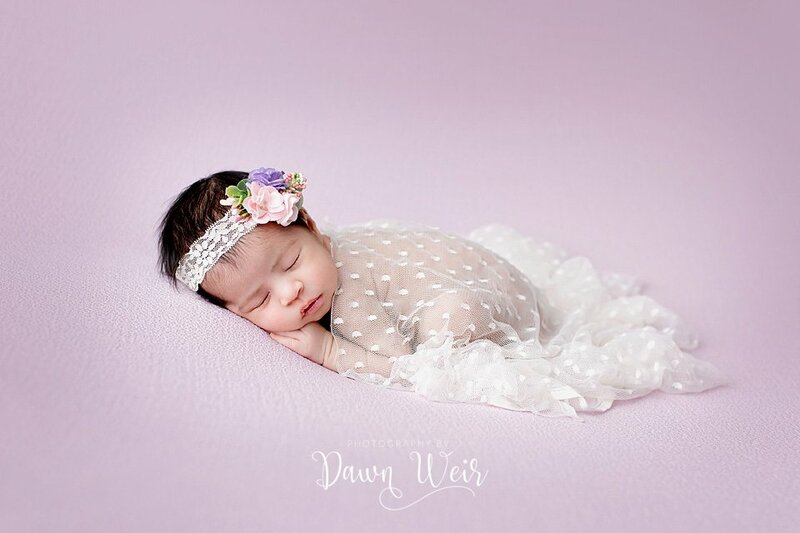 There is something about putting lace wraps on a newborn baby that get me everytime! LOVE LOVE LOVE! 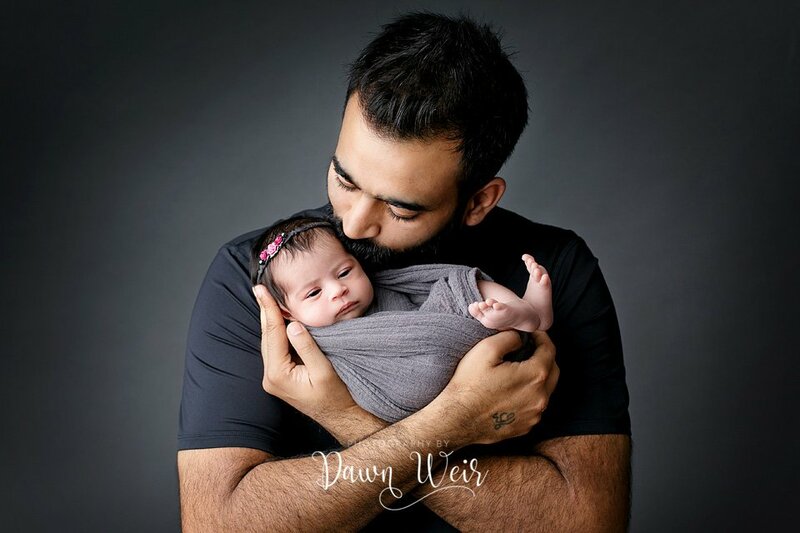 Kyra, newborn model, had Mom and Dad’s heart in the palm of her hands! 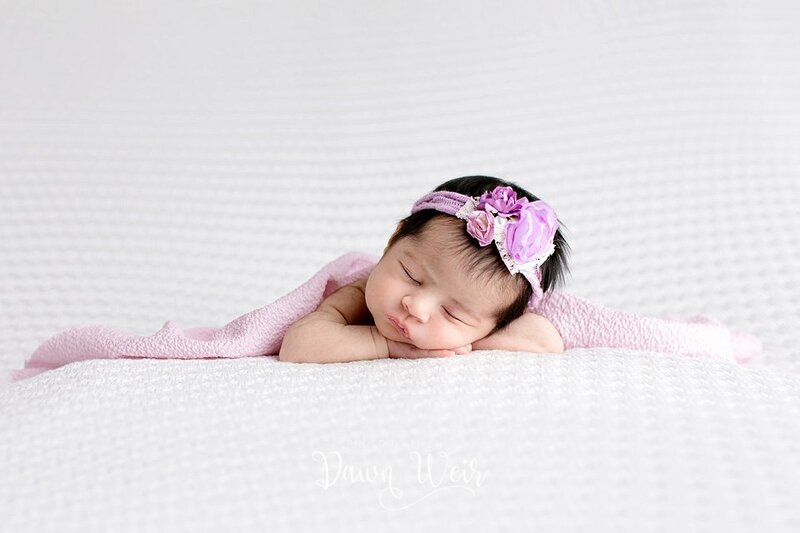 Always try to give this newborn pose to all my families. It is a classic one, but never gets old.